Young’s Mayo Garlic - Every dip tastes divine! 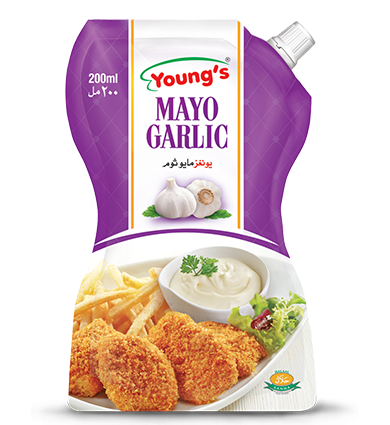 Young’s Mayo Garlic is made of the fine quality Garlic. Its unique taste and aroma enhance the taste of French fries, chicken broast, paratha rolls, and fried fish. Young’s Mayo Red Chilli - Young’s Mayo Red Chilli………Every dip tastes divine! 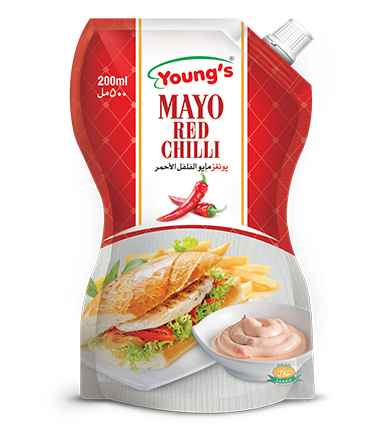 Young’s Mayo Red Chilli is prepared from variety of premium quality naturally grown red chillies and other ingredients which enrich the taste of fast foods such as French fries, Burgers, Broast, and Paratha rolls with mouthwatering hot and spicy flavor. Young’s Mayo Chup - Young’s Mayo Chup……Every dip tastes divine. Young’s Mayo Chup, a delightful combination of Ketchup made with high quality Tomato Pulp and Young’s Mayo. 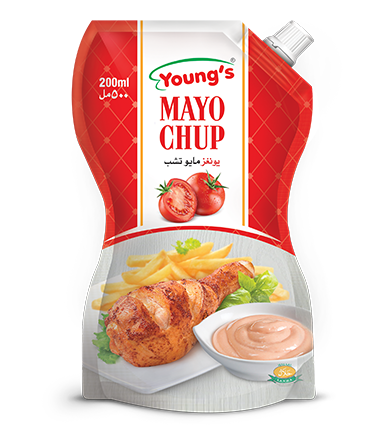 A dip of Young’s Mayo Chup gives an exciting flavor to all Fast food and Fried items.